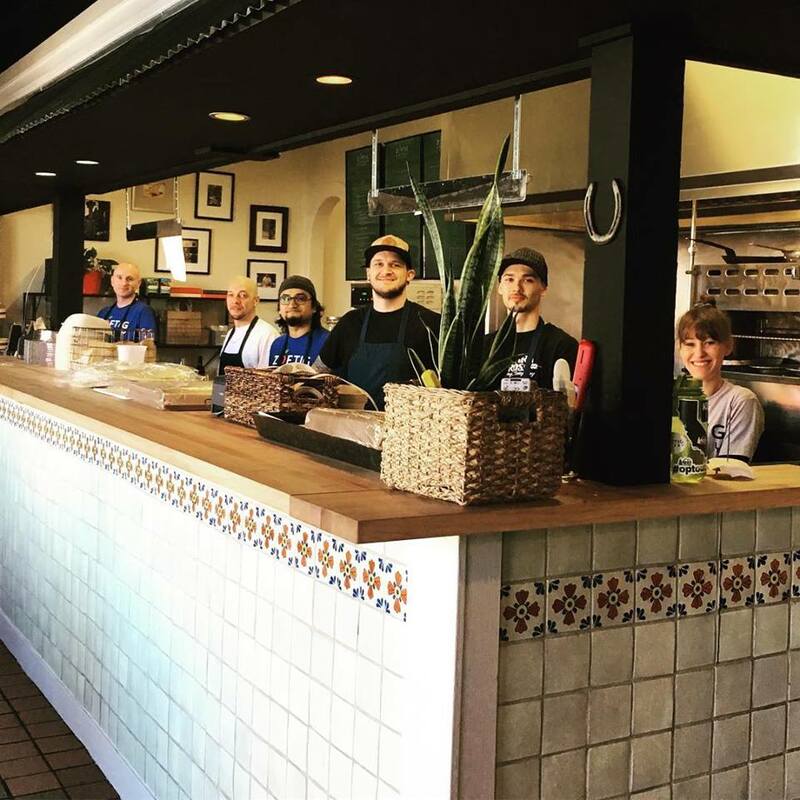 Live well and enjoy the tasty bounty at Zoftig Eatery in Santa Rosa. 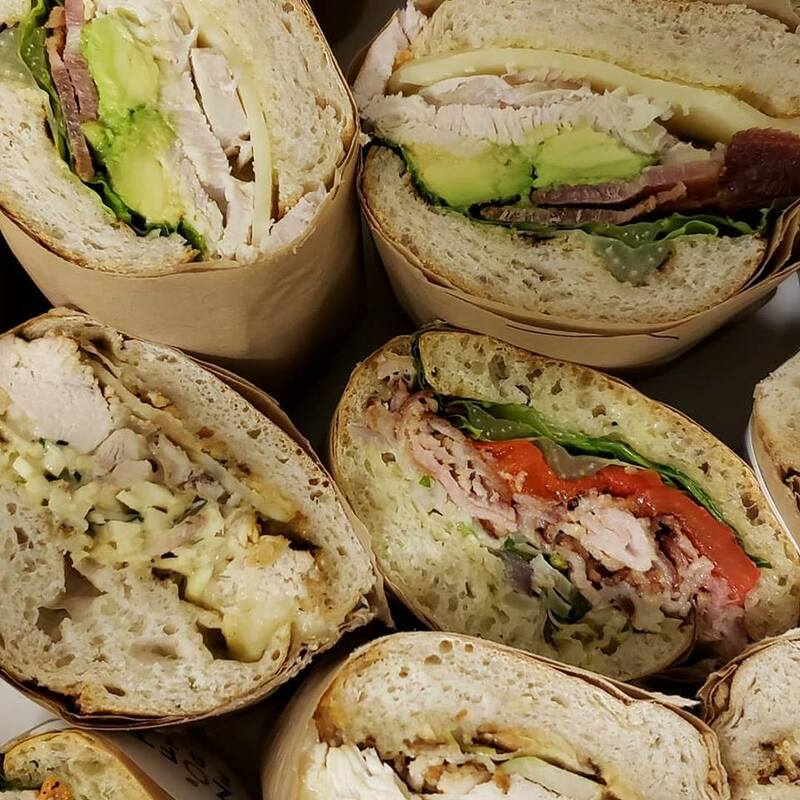 Owner Matt Spector chose an interesting name for his health-oriented café, since the dictionary defines zoftig as “having a full rounded figure: pleasingly plump.” But as he explains it, in his family, zoftig is more about living well and enjoying. More specifically, as a teen Spector worked summers in his uncle’s butcher shop in Philadelphia, and his uncle called his generous sandwiches “zoftig,” or well built. Previously, Spector and his wife Sonjia owned the fine dining but casual experience JoLe in Calistoga. The breakfast and lunch concept of their new Zoftig Eatery follows that same idea, but in an even more relaxed setting of dine-in, take-out, and catering. The somewhat dated strip center spot has been brightened with blue paint, local art for sale, and TV sets often tuned to sports games. The open kitchen is framed in colorful tiles, and Saltillo floors add warmth to the décor. It’s the kind of place you feel comfortable hanging and just kicking back. Premium ingredients comprise the backbone of the menu, with lots of good-for-you bites like a Mo' berry Blues salad tumbled with mixed greens, arugula, strawberries, blueberries, blackberries, beets, cucumber, radish, toasted almonds, goat cheese, and champagne vinaigrette ($11.50). The poke’ bowl is one of the best in town, in a creative twist of ahi, brown rice, romaine, roasted sweet potatoes, cucumber, seaweed salad, edamame, sesame seeds, and spicy soy ginger dressing ($14.50). And I crave the outstanding matzo ball soup, a periodic special brimming with airy dumplings and lots of chicken amid the fresh veggies. Salad bars are wonderful things, and while Zoftig keeps their ingredients behind the kitchen counter, the cooks will help you build your own. 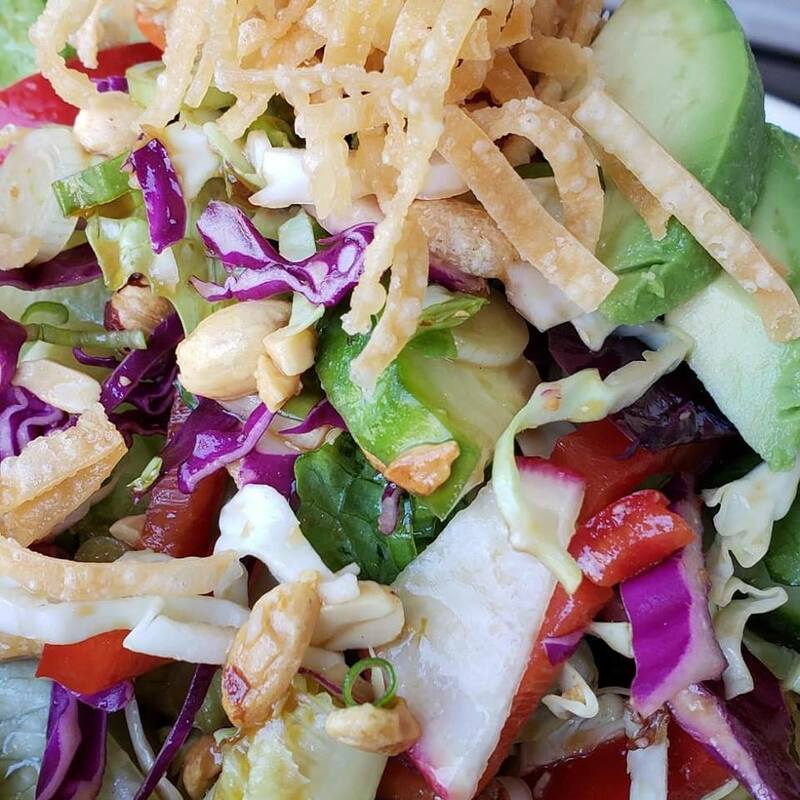 What a deal — $ 9.95, gets you a truly big salad with your choice of two greens and/or grains, five different vegetables, fruit, nuts, egg, cheeses, and/or avocado and dressing. The list is enormous, featuring everything from baby spinach to quinoa, cucumbers, roast beets, herb roasted potatoes, grilled crimini mushrooms, mango, edamame, Marcona almonds, and Pt. Reyes blue cheese. Then, you add-in proteins like roasted chicken ($3.50), hanger steak ($5) or marinated tofu ($3). And it’s true that carnivores are just as happy as vegans here. Dishes are light but satisfying, such as my favorite grilled Italian roasted pork, the juicy meat layered with fennel, red onion, parsley, roasted red peppers, and Parmesan cheese ($10.50). Matt roasts all his meats in-store, including the beef for the Penn Center Prime Sammy piled with rare steak, garlic aioli, charred onions, sweet chili relish, and arugula with a side of sea salt potato chips ($12.50). Breakfast is more basic — scones and muffins ($3.50) for example, but the quality shines. Sonjia was pastry chef at JoLe, and you can taste the love in her baking. The build-your-own idea translates well to organic egg scrambles and wraps ($8.50), too, and I really like the build-your-own parfait and oatmeal ($7). I suggest the combo of organic yogurt with (seasonal) strawberries, walnuts, and housemade granola. 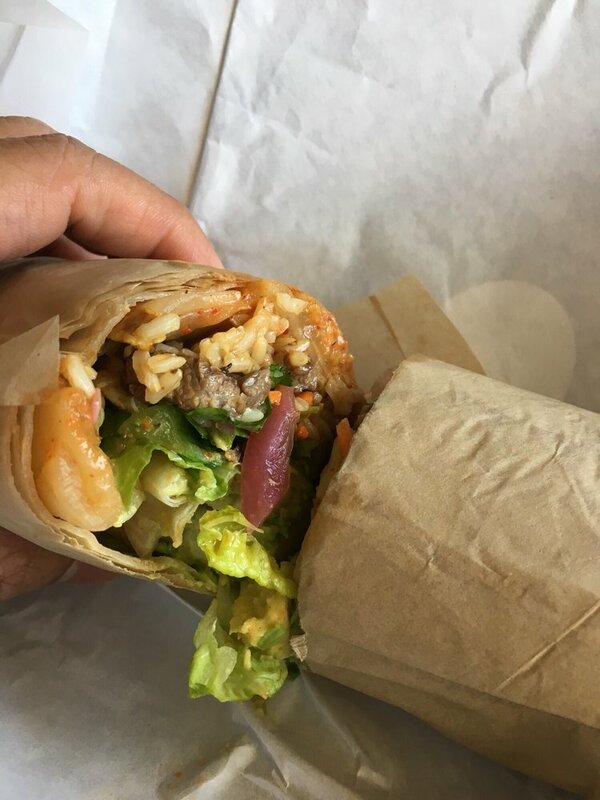 To note: You can order online, and even get delivery through services like GrubHub. Dessert: Grab more of those scones and you’re set. To drink: Healthy Guayaki Yerba Mate, but also wine and cold beer, yay! Details: Zoftig Eatery, 57 Montgomery Drive, Santa Rosa, 707-521-9554.